By default the font Scales places ascending numbers/dots on frets of the same string. 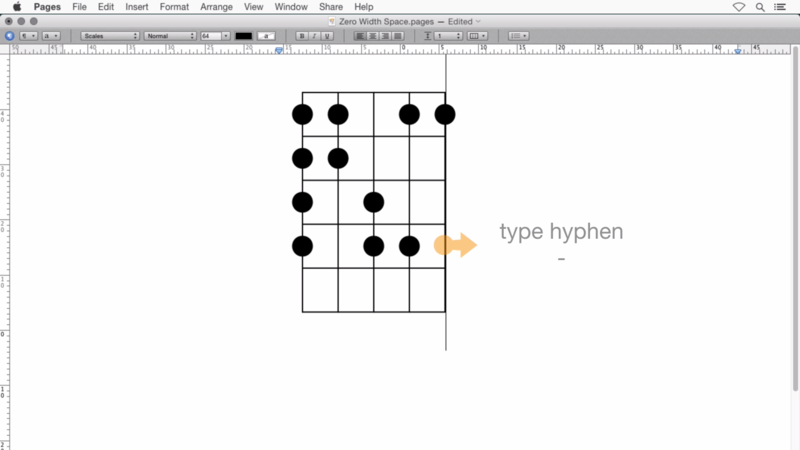 Typing the key hyphen - places the dot on the adjacent string. You'll need this trigger key extremely rare e.g. for funky finger exercises.